A lot of this comes from a thread on Helifreak.com which you can read here. First thing that took me in is that this bird just looks cool! The canopy is big enough for the battery and everything in the nose and it slips on/off very easily much easier than any other heli I have owned. The instructions are in full color and easy to follow for the assembly process. Weird to me was the fact that you had to remove the main gear and main shaft (which were already assembled in the heli in the box) in order to install the elevator servo. Also the wires weren’t color coded on the motor but believe it or not I got it right on the first try as my blades were going the correct way when the motor was started up! Once everything was assembled and I powered it on and it came to life without a hitch! The Cypher 3D is heaver than the Blade400 and the Cypher feels much more solidly built. I have flown the tar out of this heli and I am very impressed. It’s lower profile than a Trex or the Blade 400 makes it more stable in light winds. This is an important consideration here in Oklahoma. I was skeptical about the low price on this bad boy but it seems so far to be a dream ticket! I got the heli and typical replacement parts from Hobby People for a total of like 180 or something. 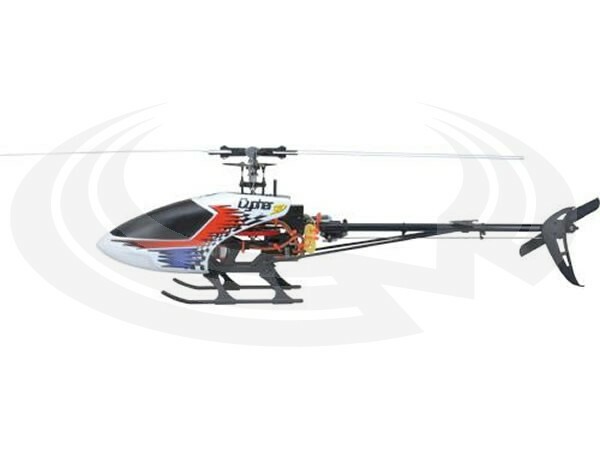 The heli was only $139! For the price this is one wowzer of a heli to me. If you pay attention it seems that this heli will occasionally go on sale for as low as $99 sometimes. Minor crashes tend to grind up the main gear and sometimes bend the tail boom. The feathering shaft is pretty sturdy and I have replaced a lot more main shafts than feathering shafts. The best blades that I have ever flown on this are the Mavrikk E-Series 325 Carbon Fiber. Not only do the color schemes match but the Cypher flies like it is on glass with these blades. I just wish they weren’t so durn expensive. The only major flaw in this heli is the ESC that comes with it. If you fly this one long enough it will fail in it’s stock configuration. It gets super hot. I changed mine out for a scorpion one and it still gets pretty warm but it hasn’t failed me on over a year. In a nutshell – I highly recommend this one! In fact of my fleet of heli’s this one is still my favorite of all!